User defined get next token function. 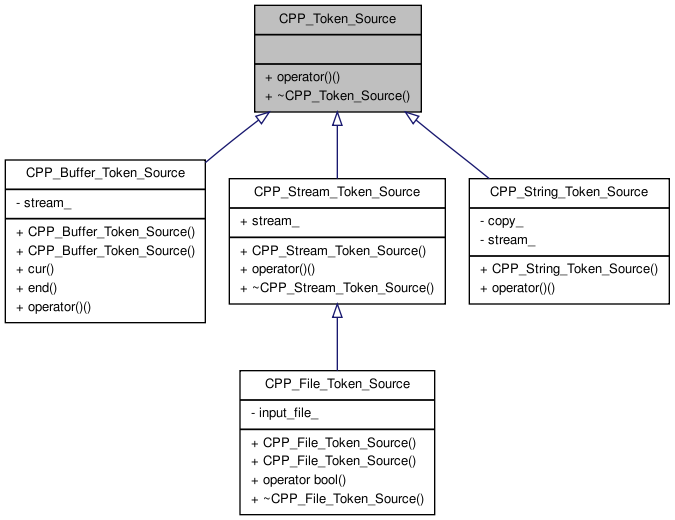 A generic representation of a stream of CPP_Token. Derive from this and use an instance of CPP_Token_Stream to implement the operator function. Execute the CPP_Token_Source objects as functions in order to parse the next token. When the token stream is empty, the token type will be CPP_Token::eof. Definition at line 1201 of file cpp_token_stream.h. Definition at line 1213 of file cpp_token_stream.h. Implemented in CPP_Stream_Token_Source, CPP_String_Token_Source, and CPP_Buffer_Token_Source.